Your bar will arrive in a wood crate six feet long, 30 inches wide and 8 inches deep. It will weigh up to 145 pounds. Don’t worry, it will be a lot lighter when it comes out of the crate! For the time being you might want to have a helper. The crate will be secured with 2 steel bands. Not a necessity but we like to be sure. The best way to remove it is to slide the band between the claws of a hammer. A little twist of the wrist should pop the band. Just for safety sake cover your eyes for the pop. If you have an electric screwdriver with a standard hex bit the next step will go much more quickly. 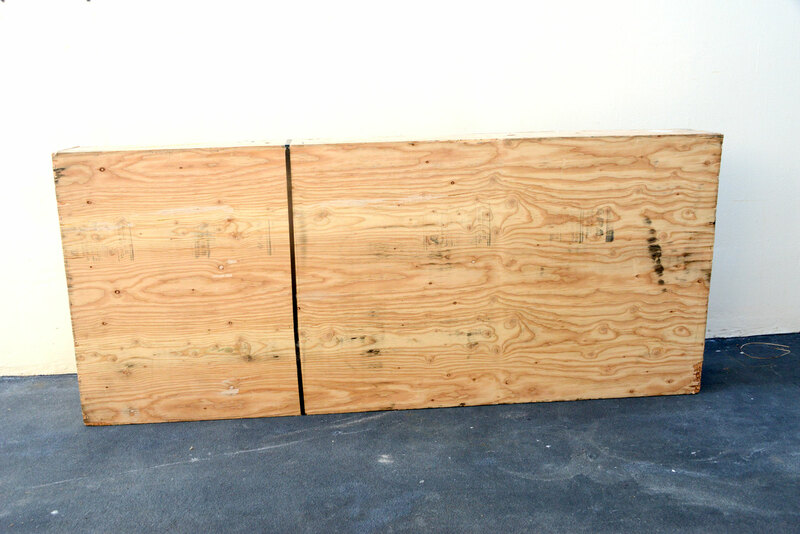 The addressed side of the crate is secured with screws. Lay the crate flat and remove all the screws to remove the cover. Under the foam you’ll find an Inspection Notice. Save the notice for instructions in the event there were any shipping problems. Problems are rare but always a possibility. You’ll also find a few additional notes here about moving ahead with assembling your bar. Many parts of your bar are now readily accessible and should be removed from the crate. A few cloth straps are stapled to keep parts tightly packed. They can be easily cut with scissors. 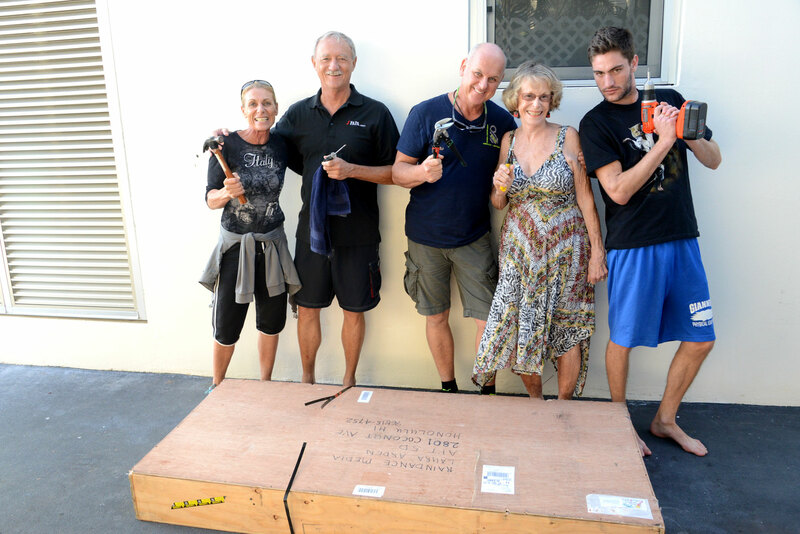 The last hurdle is to remove the 8 screws on the narrow sides of the crate. These screws hold the two wood crosspieces inside the crate that keep your bar top and shelving in place. Should you want to reuse your crate for future shipping of your bar, retain the two wood crosspieces. If you don’t plan to use the crate again for shipping, keep an eye on our blog for other possible fun uses of the crate! Congratulations! You have completed the unpacking. Please refer to your Assembly Instructions to get details for bar assembly or carry bag use. They are also included in the crate printed for your convenience.